Islay distillery Kilchoman is to roll out Sanaig, its Sherry cask-influenced NAS malt, as part of its core range following a trial in select markets last year. Kilchoman Sanaig will join Machir Bay as the distillery's core range. Kilchoman Sanaig, which has a heavy oloroso Sherry cask influence, will join the predominantly ex-Bourbon cask-matured Machir Bay in the distillery’s core line up from this month. To highlight the contrasting characters of the two central expressions, the packaging for each will now feature a ‘cask influence bar’. 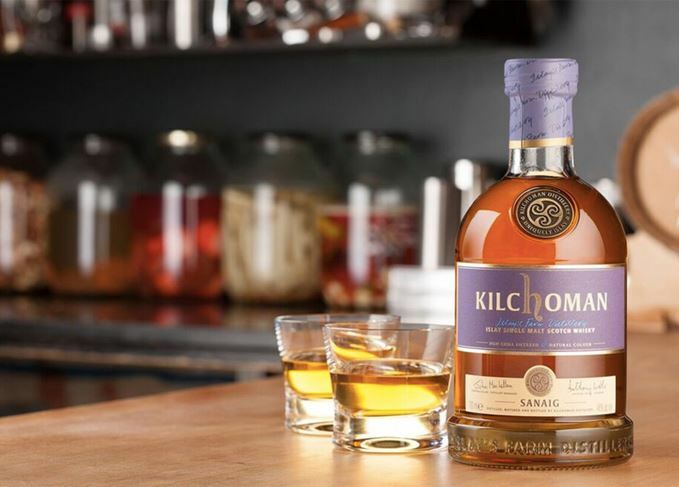 Kilchoman Sanaig was initially launched in 2015 in France, Germany, Belgium and Holland, but will now be rolled out across all the brand’s markets, including the US, Canada, UK, Sweden, Taiwan, Russia and Poland. Sanaig, which is names after an inlet north west of the distillery, has been bottled at 46% abv and will be available for around £55 a bottle. More than 250 bottles of a private single cask bottling were taken, worth more than £38,000.